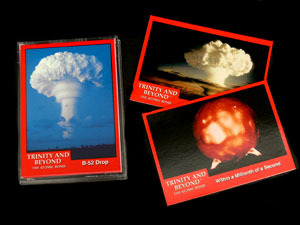 Rare trading cards with images from the above ground atomic tests of the 1950s & 1960s. Each visually stunning card contains a short description on the back and is laminated for durability. 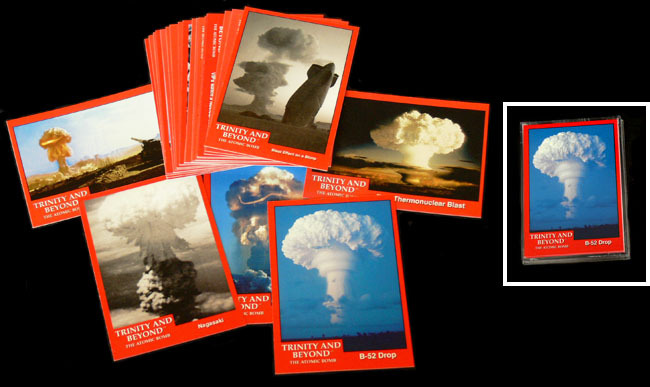 This 26 card set features images and information about some of the most important tests conducted since the dawn of the atomic age. Each set of cards comes in an Ultra Pro collectors box made of extra strong clear plastic for protection. Think you can identify the blast image with the name of the nuclear test? Use the set as flash cards to try and connect the blast image with the test name.